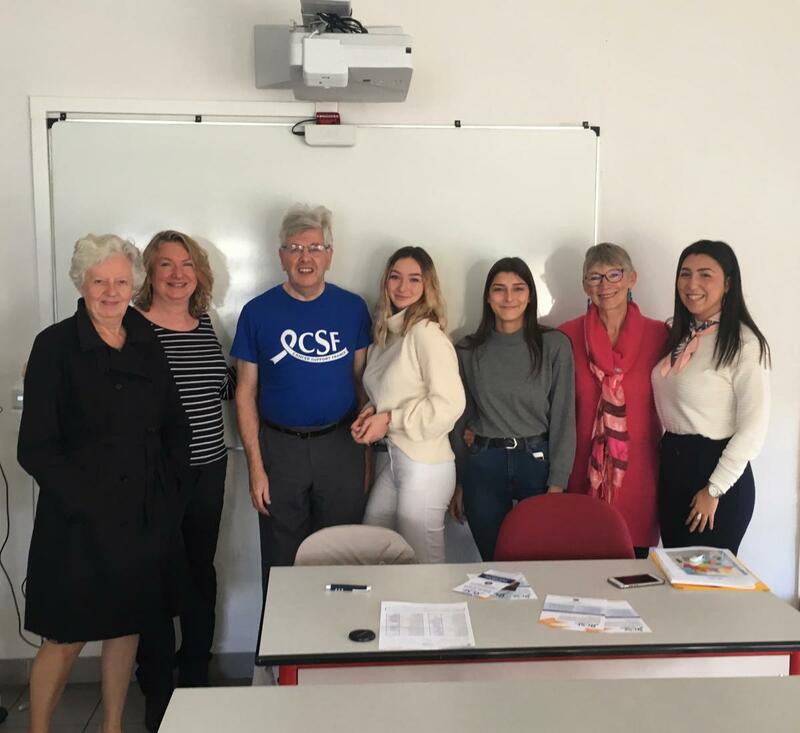 CSF recently gave a presentation to 30 first year students of the University of Perpignan (Narbonne Campus). Brian and Margaret Thomas and Penny Parkinson are photographed with students and their teacher. These three students are using CSF as their English project and are planning to help us with events next year.